Breast cancer is a devastating disease that touches too many individuals and families we know. While survival rates are improving, treatments take a significant toll on patients going through the process. The Look Good Feel Better Foundation is an organization that helps cancer patients deal with an important part of the healing process. 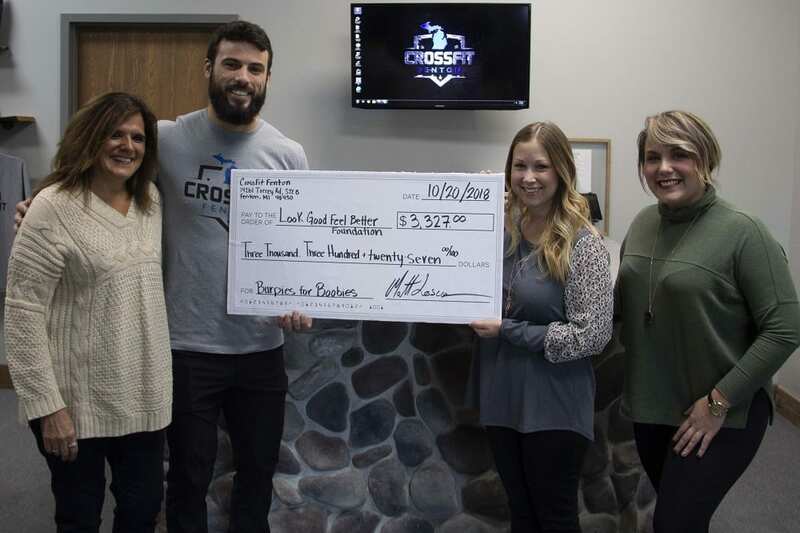 In October, CrossFit Fenton held a fundraiser to benefit the Look Good Feel Better cause. The Burpees for Boobies event featured CrossFit Fenton members soliciting donations for every burpee they could complete in an hour. Over 10,000 burpees contributed to the $3,327 dollars raised. Local auto dealer Lasco Ford added an additional check for $500. Donations are still being accepted hoping to push the total over the $4k amount. Just what is a burpee? Too many years ago at high school football practice, we used to do something called squat-thrusts. They were brutal. A burpee is similar, with a couple of nuances. Specifically making sure your chest touches the ground, raising arms overhead after returning to your feet, and finishing with a jump. Doing a hundred burpees in an hour is a workout you’ll remember for a day or two. Raising money for a worthy cause is a memory you’ll cherish much longer. Donating the funds to Look Good Feel Better can change a life forever. Look Good Feel Better is dedicated to improving the quality of life and self-esteem of people undergoing cancer treatment. 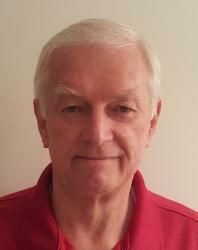 The program offers complimentary group, individual, and online sessions. They teach beauty techniques to help people with cancer to face their diagnosis with greater confidence. Losing hair is the most noticeable effect of common cancer treatments. However, one’s body often experiences other changes while battling the disease. Helping patients look their best gives them the motivation to continue the battle. Feeling better about yourself can actually make you feel better physically as well.